Sujin Kim smiles as she explains how she found the coxswain seat. "I was a rower in Sixth and Seventh grade. By eighth grade, my coach suggested I give coxing a try. I didn't want to do it on the first day. I have to tell you I didn't particularly like doing it, until I realized it's not just steering the boat." 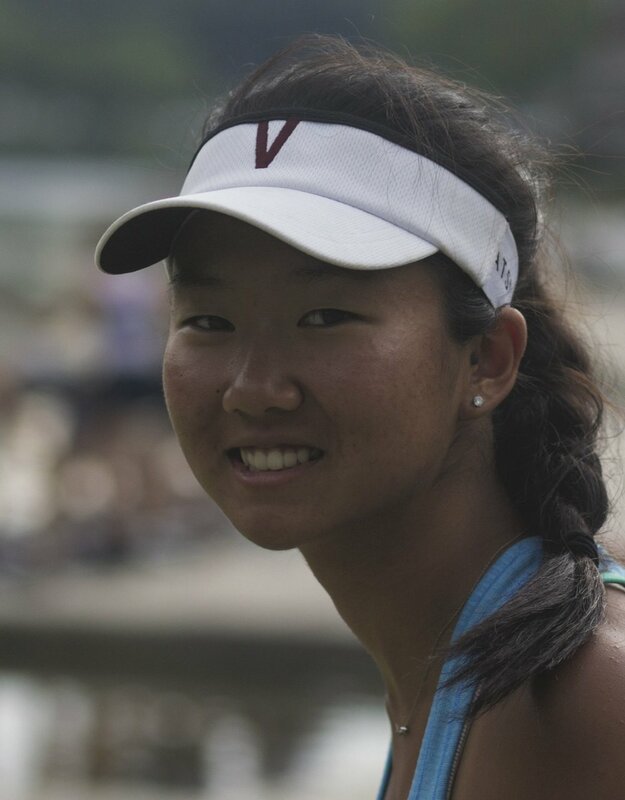 For Kim, who has coxed for her high school, learn-to-row programs, Masters programs and-this past summer-for a Vesper Boat Club Under-19 development team, learning the skills to be a winning cox has taken over. "When I started coxing," she says, "I focused on not hitting anything. It wasn't until I started racing that I understood what the coxswain seat was all about. I started listening to recordings and started to learn the other parts of coxing." When asked if she naturally had the personality for coxing she says, "I think you need a personality that's very organized. I picked that up from coxing­ getting things done in order. When I made it to the high school team, I needed to have that. I needed to have that 'coxing persona.'" "I spend more time now laying out the plan. When we're on the course, though, I focus on making changes in response to the race. If someone starts walking, I'm not just going to sit there." "We had a practice on the Delaware Rover. It was choppy and windy and really cold. I had more clothes on than I can remember. For some reason, I loved that practice. There was Swing that day. The conditions weren't great, but everyone was working through it." "The thing that is the same is that no one is going to trust me if my calls aren't valid. For women, I need to stay calm for them to do their best. For me, my tone of voice is different."